Since A Rule of Tum first began we’ve always been working hard to bring people amazing, locally sourced food. We’ve opened 3 restaurants and sparked a food revolution in Hereford, and it’s incredible to see all of that hard work rewarded when we are featured in amazing publications such as Truth, Love & Clean Cutlery. 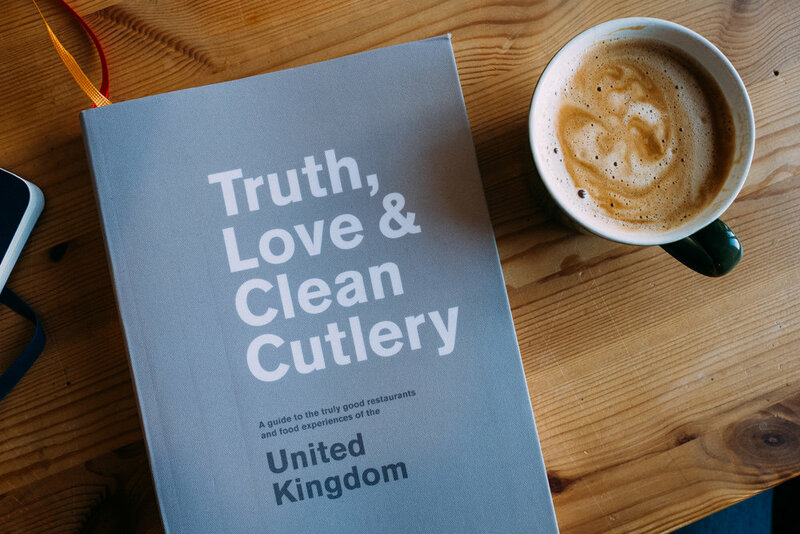 Truth, Love & Clean Cutlery is ‘a guide to the truly good restaurants and food experiences of the united kingdom’, edited by Times columnist and award winning restaurant critic Giles Coren. If you are looking for a clear and stylish guide to British restaurants then grab yourself a copy. 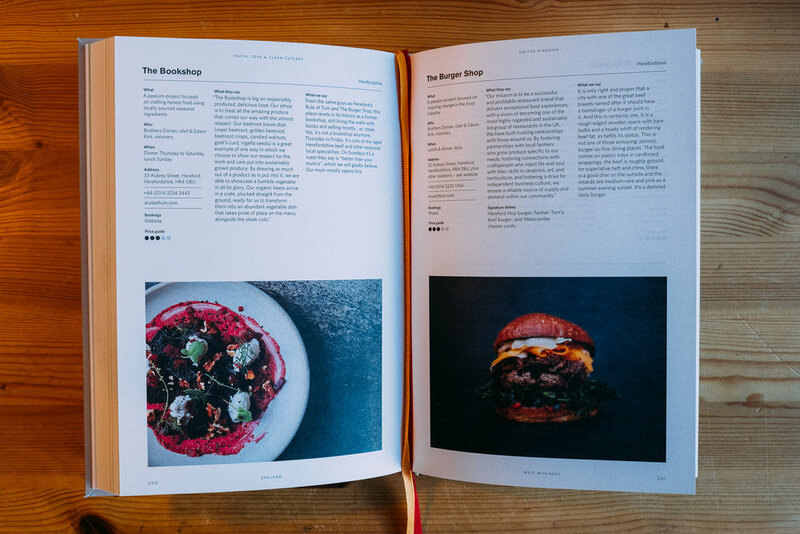 We are so pleased to see both The Bookshop and the Burger Shop featured in this incredibly well curated and beautifully put together restaurant guide, if you don’t already have a copy then do pick one up, not only just to see us but also to discover a huge range of fantastic dining choices. If you would like to take a look at the book we have a few copies for thumbing through in the Burger Shop in Hereford, so come down, get a Farmer Tom + a beer and take a look.